Sleep is increasingly recognized as a potential risk for overweight and obesity. Observational studies have shown links between short sleep duration with weight gain. However, the findings from longitudinal studies in adults are conflicting. 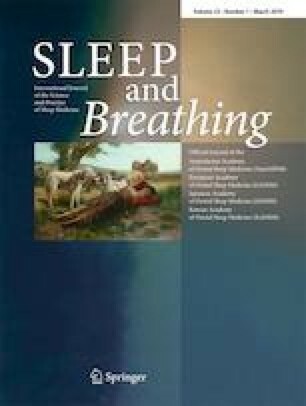 This review aimed to examine the effectiveness of experimental sleep restriction on adult body weight. A systematic search was undertaken in MEDLINE, EMBASE, PsycINFO, and CENTRAL (Cochrane center register of controlled trials) to identify experimental studies examining the effectiveness of sleep restriction on body weight, and search period was from January 2005 to June 2018. Meta-analysis was applied by using the random model. A total of 275 adults from six experimental studies were included. The pooled standard mean difference in body weight and body fat was 0.44 (95% CI − 0.13 to 1.02) (Z = 1.51, p > 0.05) and 0.35 kg (95% CI − 0.19 to 0.88) (Z = 1.27, p > 0.05), respectively. The experimental sleep restriction did not result in significant differences in adult body weight or body fat. Subgroup analysis showed that there were differences in weight gain between genders and races. The finding from this review cannot support the hypothesis from observational studies that short sleep leads to weight gain. All reviewers entered every step to ensure the security and completeness of the data, if there was a disagreement, discussing together or assessing by the third reviewer to resolve. The work was supported by the grant from the Ministry of Education’s Humanities and Social Sciences Research Project (No. 18YJA630015). Who else also involved the intervention?